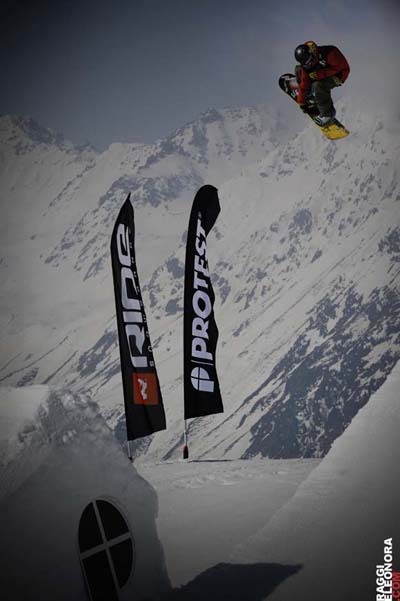 The Finnish Ripper Roope Tonteri wins the Protest World Rookie Finals 2010 in Ischgl, Austria, and conquers his second World Rookie Champion Title. Among his Tricks a massive Double bs Rodeo on the final Hip. Among his prizes a freeride trip to Chile, an invitation to the Red Bull Evolution Camp in New Zealand, a film shooting with the Pirate Movie Production and a Ticket to the Air&Style Rookie Challenge 2010. Second rookie of the Event is austrian Schattschneider Clemens, followed by Sven Thorgren from Sweden. The winner of the Rookie girl category is pollish Rusin Katarzyna, followed by Gyarmati Anna from Hungary on the second position, and Silja Suitiala from Finalnd on the third. Among the Groms, born after 1995, Tim Kevin Ravnyak from Slovenia resulted the best boy, and Augustinova Diana from Czech Republic the best girl. They both win a Golden Ticket to join for all free Rookie Fest Events in 2011. Park design included 3 table tops with Jumps up to 18m, an hip and a final Jib Area. Roope Tonteri’s best Run consisted of cab900, fs720, bs720 and double bs rodeo on the hip. He is also positioned n°8 on the Swatch TTR Ranking 2010, where he also hit some podiums. He is the first Rider in the History to win the World Rookie Champion Title twice. Roope, along with Tim Kevin Ravnyak, Clemens Schttschneider and Sven Thorgren, are now joining an Onboard Europe Photoshoot in Italy from 11 april untill 15 april. Click here to see the final ranking. 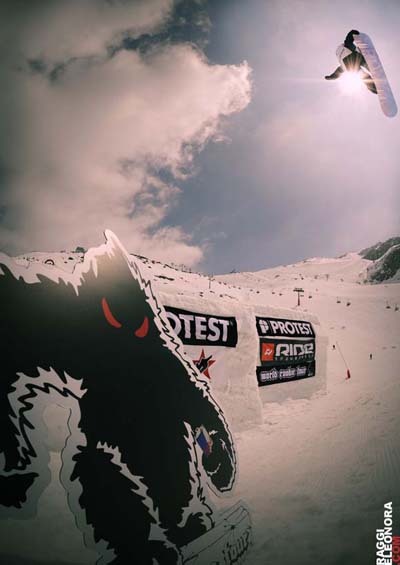 The Swatch 4 star “Protest World Rookie Finals 2010” was presented by n.asa (new austrian snowboard association) and sponsored by Protest Boardwear, Ride Snowboards, RedBull, Ischgl, Pieps, Onboard Europe.